City Bright is a non-profit organization with a simple goal in mind: Pay the homeless to clean our streets, and in turn, they are working towards a better life. It’s a win-win for everyone. The City of Philadelphia was built on the backs of hard working immigrants and prides itself on being a city of grit, where persistence and loyalty reign. Today, it is a city going through an economic transition, as historically poor neighborhoods are gentrifying, tourism continues to grow, and we finally won a Super Bowl Championship! Despite this, we are a city that suffers rising homelessness and a poor public perception of its cleanliness. Despite being ranked as one of the Top 10 Coolest Cities to Visit (Forbes 2017), we are also ranked the 2nd Dirtiest City in America (Travel & Leisure) and the Top 10 US Cities with The Most Homeless People (Culture Cheat Sheet 2017). If we want Philadelphia to be a desirable place to visit, live, invest and grow, we need to develop a plan to try to address this poor perception of our great city. Let’s use our grit and do something grass roots, and in true Philadelphia style, make it even better. Millions have been spent on programs to solve the homelessness issue, but recently a few cities (Fort Worth, Santa Fe and San Diego) have established a program to tackle both homelessness and litter. It’s basic, but it’s working. The concept is simple… Pay the homeless a fair wage to clean the streets, and in turn, they are working towards a better life. It’s a win-win for everyone. To make this happen, all it may take is a little bit of seed money, and the right connections of stakeholders (business leaders, engaged residents, city connections, and a team of volunteers). A proof of concept was completed to validate that this could be successful in Philadelphia and we have already completed many successful homeless clean up events. The results have been amazing. 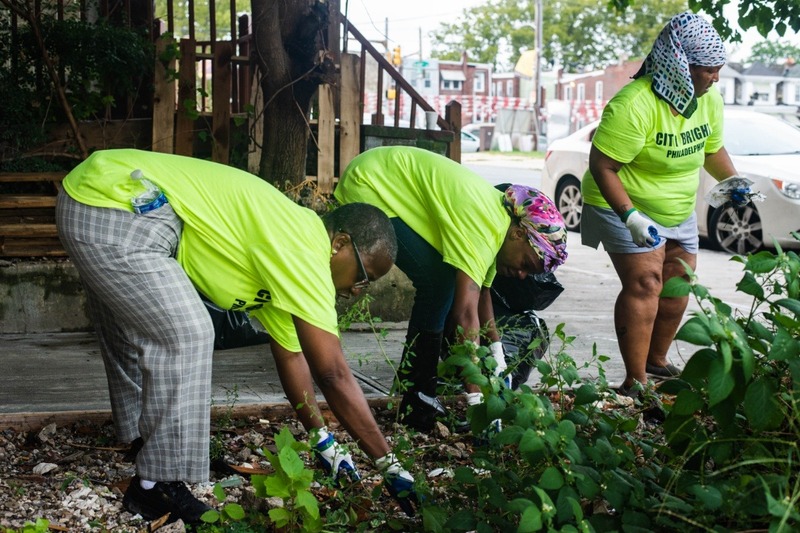 Over 150 homeless participants have joined and 500 bags (2,500 pounds) of trash were removed from the streets of Philadelphia---validating that the homeless are willing to work, and most importantly, feel like they are contributing to the community. Please support this journey and jump on the bandwagon by reading more about what we are proposing. Your federal tax-deductible donation is appreciated.